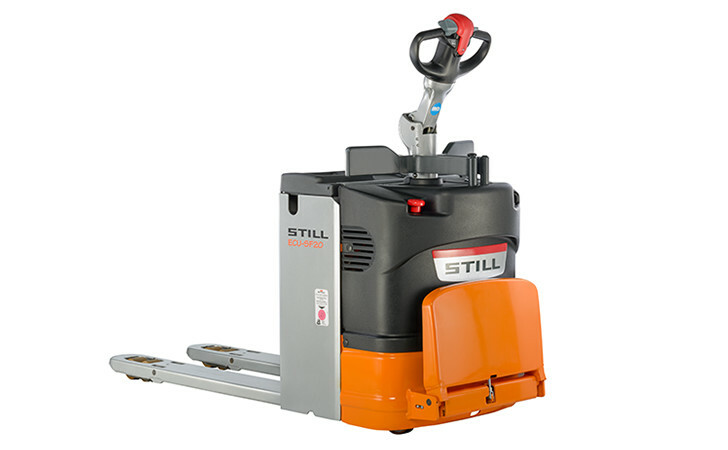 The powerful ECU-SF low lift pallet truck from STILL features a hinged platform and a load capacity of 2,000 kg, making it the ideal choice for loading and unloading lorries and for transporting goods horizontally. 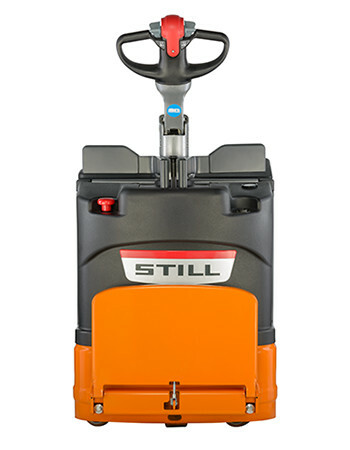 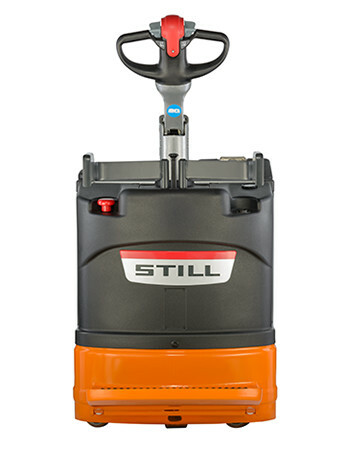 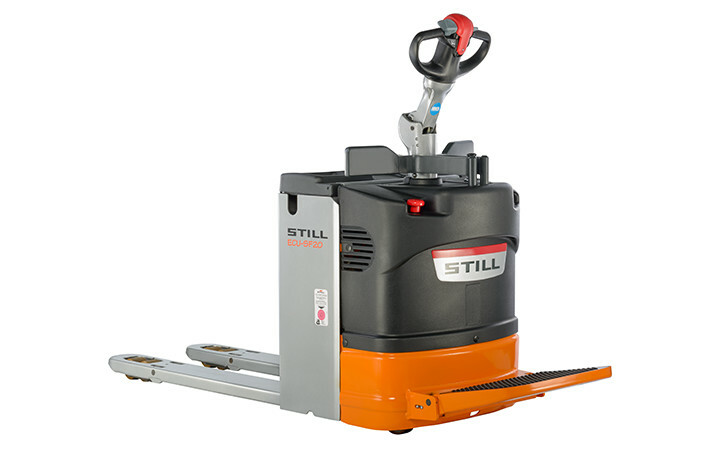 This compact warehouse helper can be manoeuvred accurately and safely in narrow spaces. 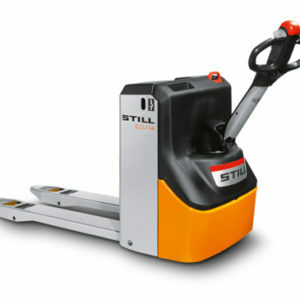 Its rounded forks can be easily threaded into pallets. 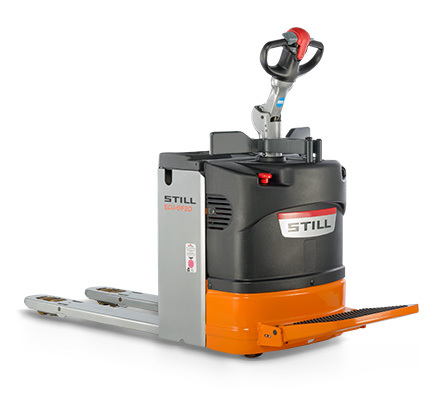 This low-maintenance truck gets the job done reliably, from lightweight jobs over multiple shifts in the industrial sector to handling material in retail environments. 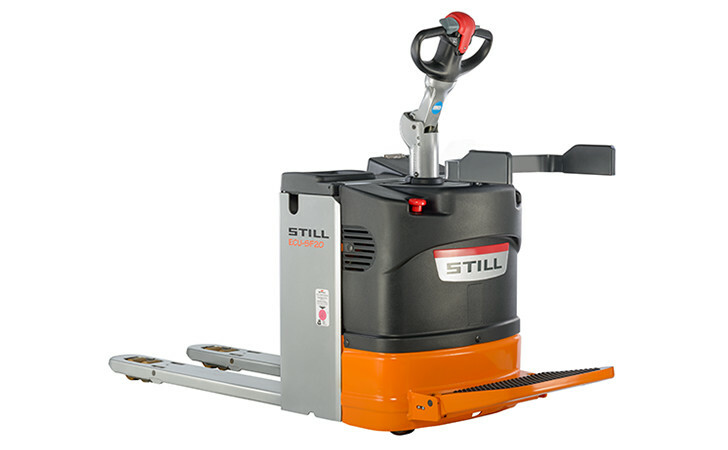 The chassis is covered with shock-resistant plastic, providing the robust truck with outstanding protection in harsh environments. 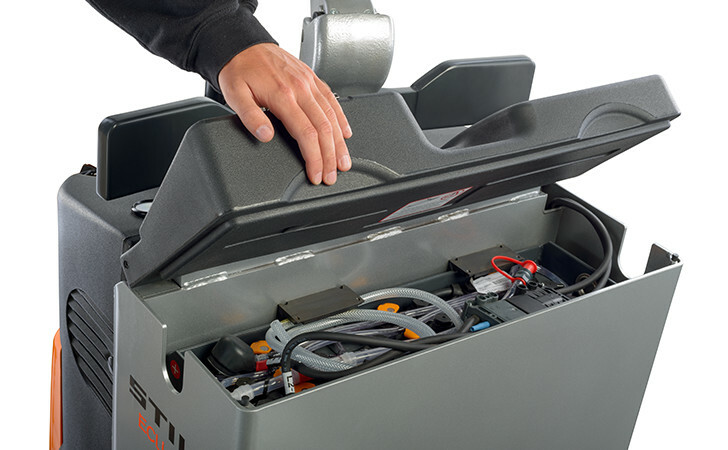 The platform on the ECU-SF is very low at just 170 mm. 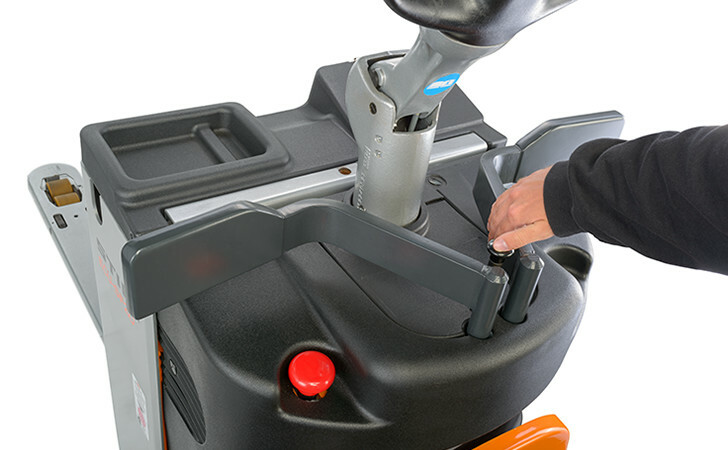 This enables operators to quickly and safely get on and off the stand-on platform. 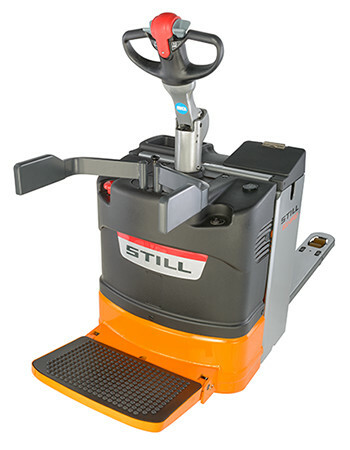 The precise and intuitive electrical steering unit minimizes operator fatigue and enables goods to be turned around fast. 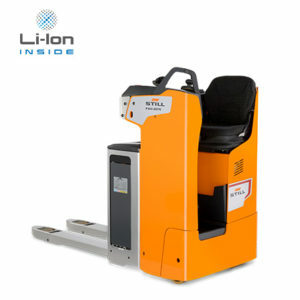 Optional side guards keep the driver safe and stable, and provide optimal protection in all driving situations. 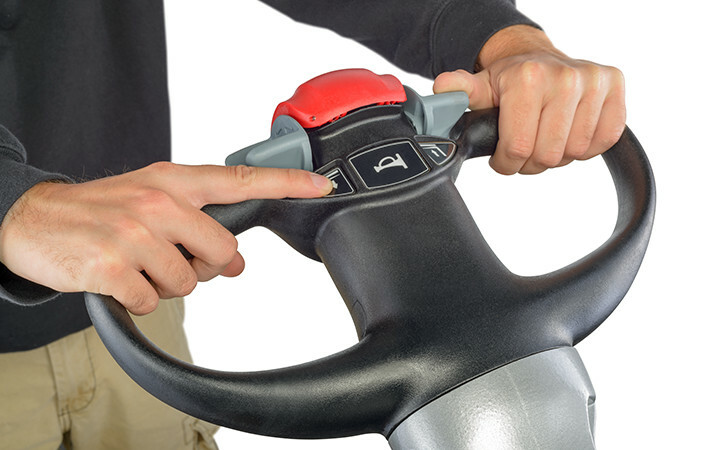 These can be opened and closed using just one hand. 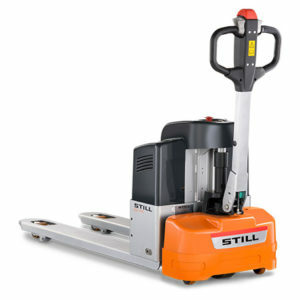 Outstanding reliability: Robust outer panels can withstand forceful impacts. 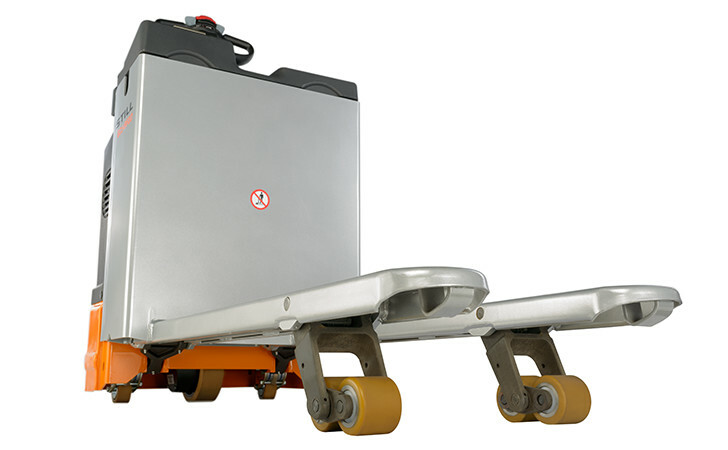 Easy to board: the platform is just 170 mm high and can be boarded very easily and effortlessly. 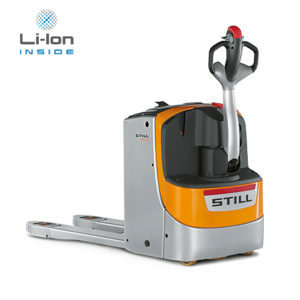 Optional side guards keep the driver safe and stable, and provide optimal protection in all driving situations.